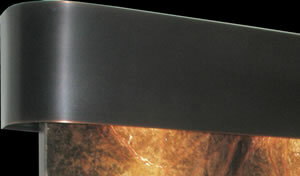 Shown above is the Squared Stainless Steel Frame with Green Slate. Deep Creek Falls is one of the largest production water features we offer, nearly 6ft. tall and almost 8 ft. wide! 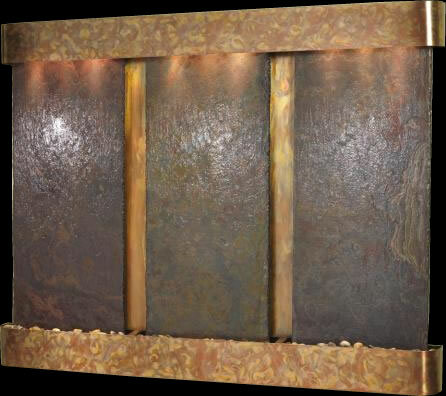 This is the most incredible fountain you will ever see. 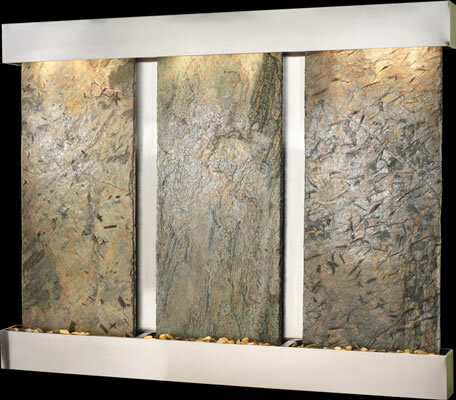 Featuring three beautiful slate slabs, each complimentary to the other and illuminated with overhead lights to accentuate the water as it flows down the surface. 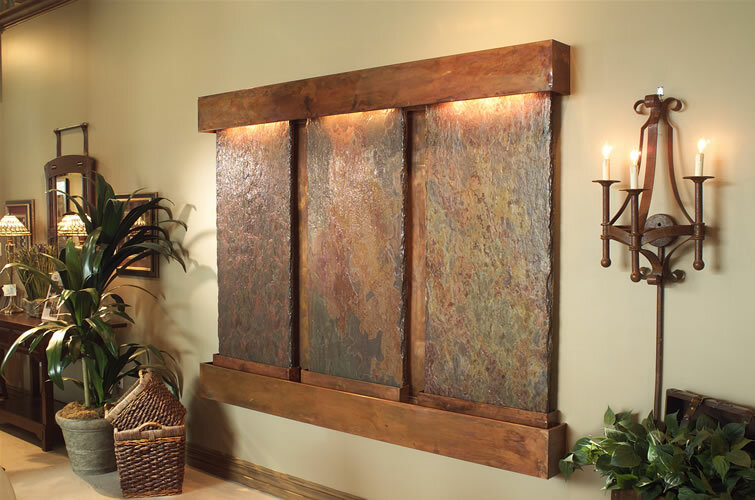 Select from rounded or squared Rustic Copper with clear powder coat finish, Antique Blackened Copper or Stainless Steel Frame as well as your choice of Rajah, Black or Green Slate to blend with any decor. Your slate color selection is made on the order page. 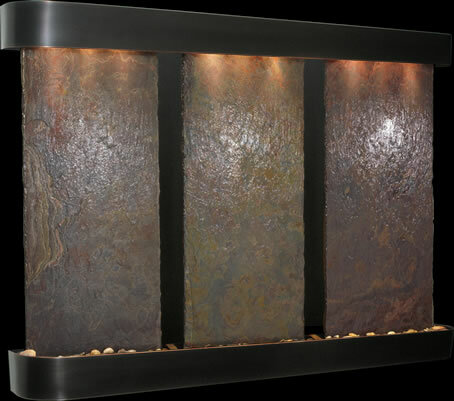 Customize this fountain with your sentiment, company name or logo etched in stone!